El-Sadat to the President: Where are the Recommendations you were Supposed to Present to the Higher Elections Commission? 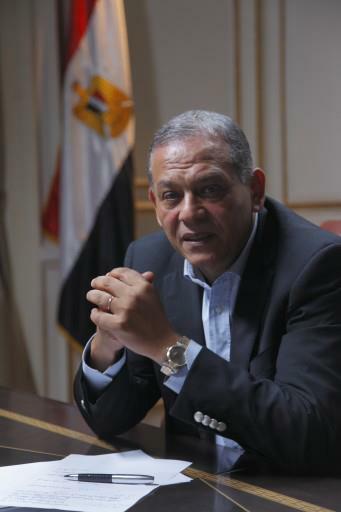 Anwar El-Sadat (Head of the Reform and Development Party) expressed his great shock at the statements made by Counselor Samir Abou El-Maati (Chairman of the Higher Elections Commission) at the last press conference where he confirmed that the presidency did not send to the Higher Elections Commission the recommendations of the national dialogue about the guarantees for fair elections. El-Sadat considered this a great disservice for the people and the political powers which presented their guarantees and sat to converse with the President. El-Sadat noted that the presidency is insisting on cutting the last shreds of trust between itself and the political powers through its unjustified actions which are done unconsciously. They are deliberately repeating this pattern in every national dialogue which gives the right for the political powers to not respond or attend any dialogues with the President, because the dialogue in this case is only a waste of time. El-Sadat explained that what is happening on the part of the presidential institution concerning the national dialogues conveys to everybody a lack of seriousness, breaking of promises, and a lack of commitment to the results reached by the attendees or whatever they agree on.